The quality is very nice on the Piccadilly. The cover seems strong and durable, the binding is solid, and the paper is nice to write on. 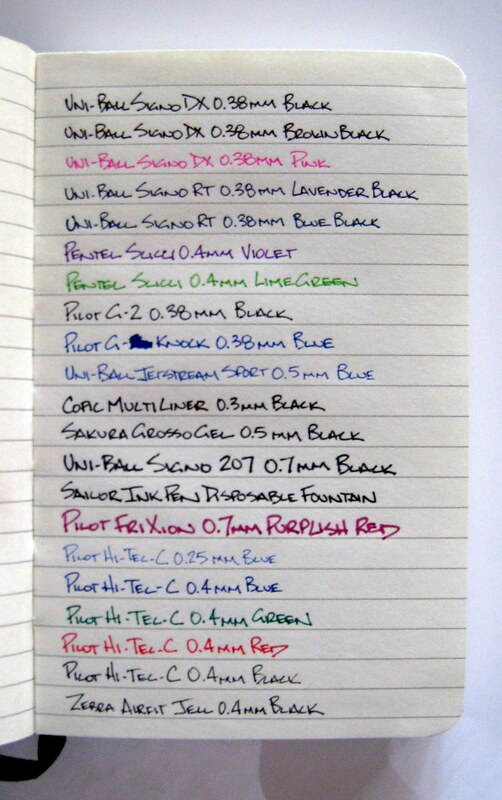 All of my pens performed well, although I preferred using 0.4mm and larger pens for the best writing feel. Anything smaller was a bit scratchy for frequent use. There was no feathering or bleed with any of the pens tested. 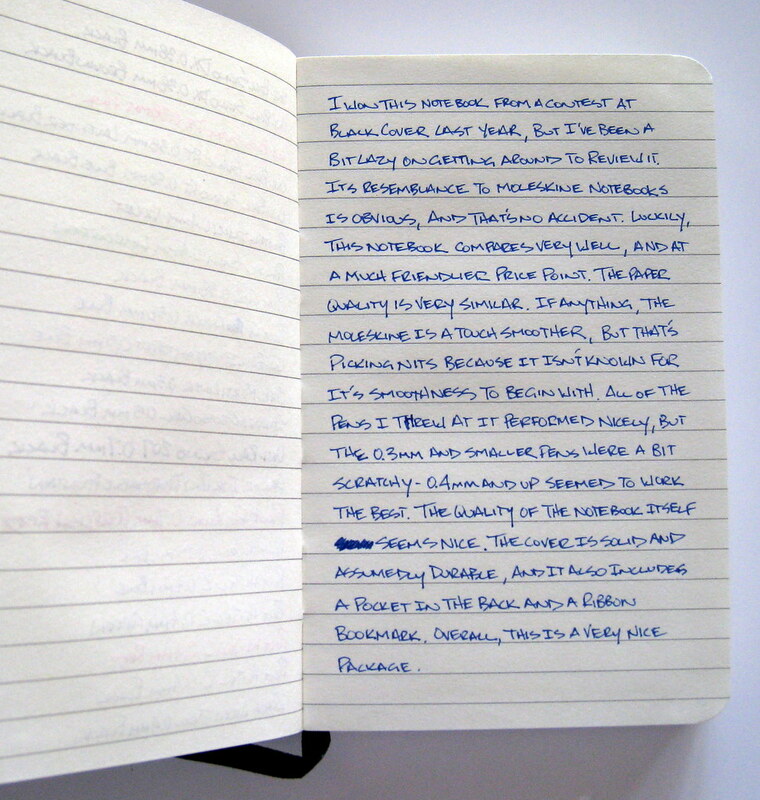 Overall, this is a very quality notebook, especially at nearly 50% less than the same sized Moleskine. 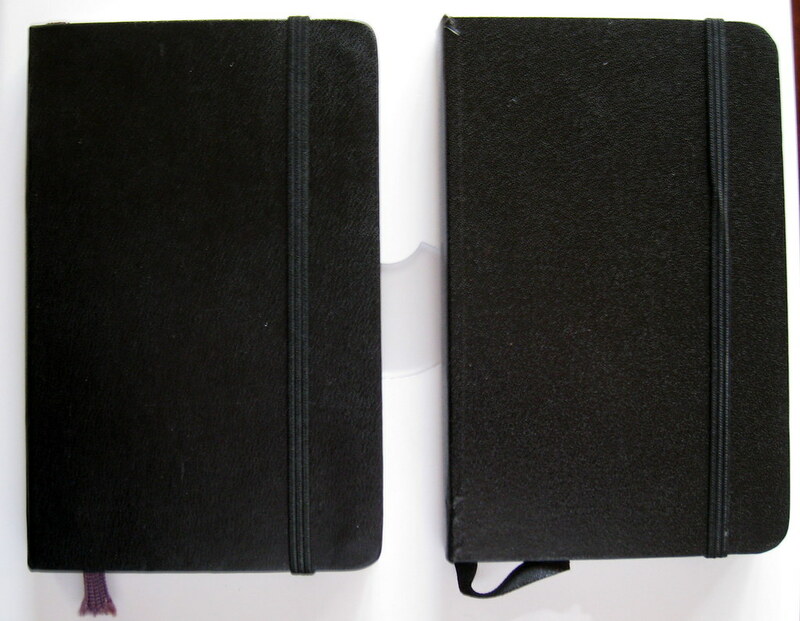 I could only tell a few slight quality differences between the two (lesser quality outer band and bookmark, overall finish), but if the Moleskine in an 8 on the feel and finish scale, then the Piccadilly is probably a 7. Certainly not enough difference to make up for such large cost savings. Be sure to check out the extensive review at Black Cover. 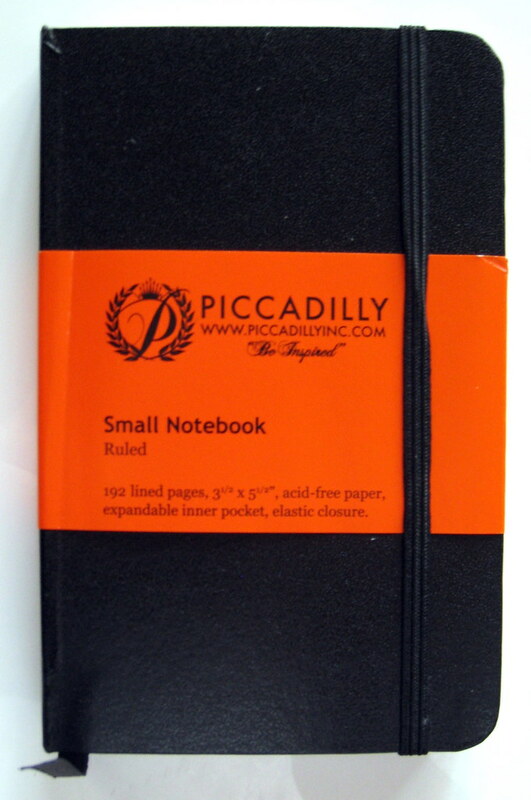 I look forward to trying additional Piccadilly products, and as luck would have it, I have two other notebooks from them to review. The company was nice enough to send some samples my way, so look for reviews on those products soon. Posted on April 6, 2009 by Brad Dowdy.